Special Report 2008 Year of the Frog Jack reported how Tama Zoo participated the worldwide campaign to protect frogs and other amphibians. Frongs the species the World cares. 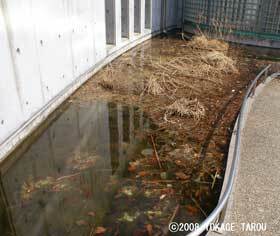 Tama Zoo has participated the conservation program, 2008 – Year of the Frog. The zoo shares the information on Batrachochytrium dendrobatidis found in the country, establishes the method of rearing frogs and communicate with other zoos, which take part in the Year of the Frog program. 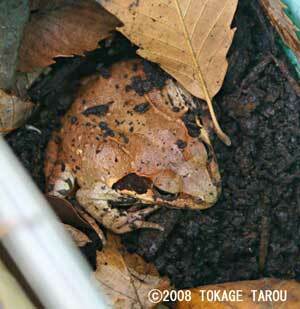 Bd was found in Japan in December 2006 from a frog in captivity. It is critically important not to spread Bd to the wild. To prevent Bd from spreading, it is very important to keep your pet frogs clean and sterilize its’ tank. If your pdt prog was dead, the body must be burnt. Never bury a dead one in soil outside. 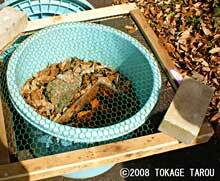 It is essentially important to protect Japanese native frog species. 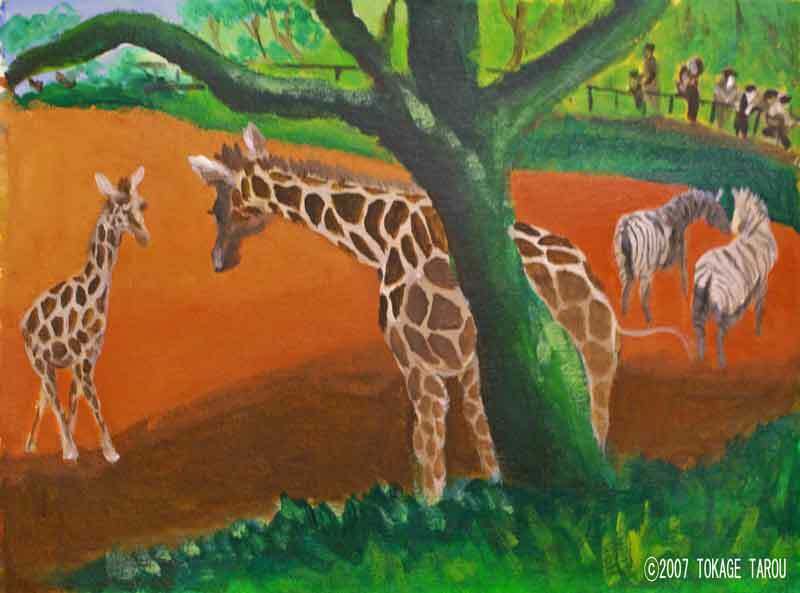 Tomita, Chief manager of the wild life conservation centre, joined the IUCN World Conservation Congress in Hungary in August 2008. "The conference was carried on in friendly feeling, although, all the participants were highly aware of the fact that the environment around frogs and other amphibians was critically severe", said Tomita. He created "The Map – I found frog in Tokyo!" His maps are found in Tama Zoo, Ueno Zoo, Inokashira Zoo, and Kasai Rinkai Aquarium. Zoo visitors mark red dots on the map at the location where frogs were seen. "You may not see any frogs in your neighbourhood. This map helps you to realize that there are quite a lot of frogs live in Tokyo." 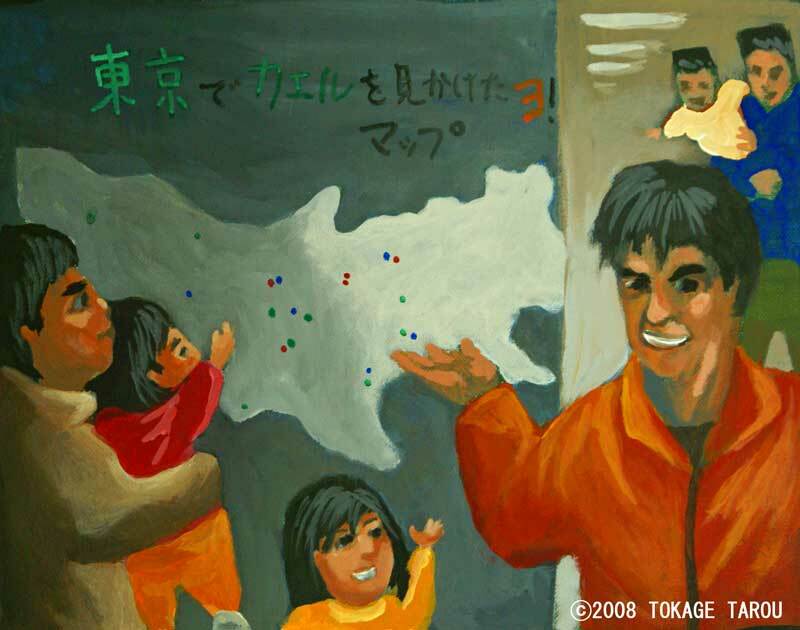 Tomita smiled at the zoo visitors who are interested in his map. 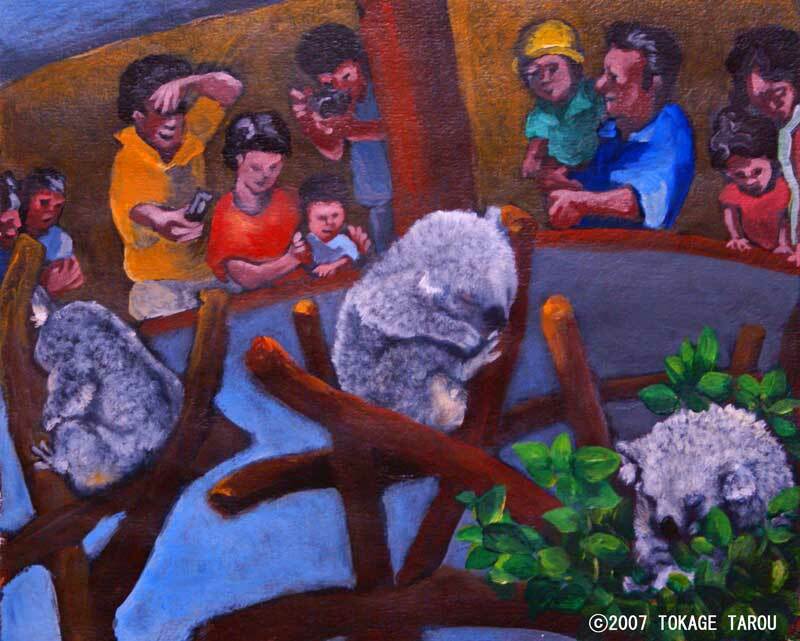 Tama Zoo is located in Tama Area where a lot of habitats still remain for wild creatures suburb of Tokyo. To participate the program of 2008 Year of the Frog, the zoo started protection of the Montane Brown Frog, which is endemic to Japan. 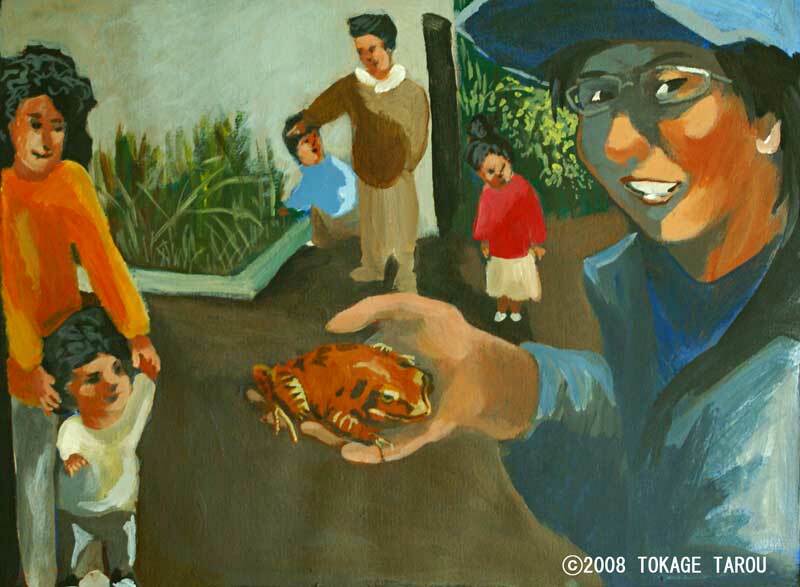 The wild frogs live in Tama area, including the zoo site. It was not hard to collect them, but rearing was another story. First of all, veterinarians checked each frog was not affected by Bd. Then each frog spent a few weeks in medicated bath. It is very important that they have to be in quarantine not to get mixed with others from outside. The program has just started at Tama Zoo, so these frogs are not on display yet. Makimura removed leaves to show me the frog. Do you see it? It's a the Mantane Brown Frog, looks so sleepy. Looks dead? No, he has been hibernating. Even for Makimura, there are so many unknown things about the Montane Brown Frog’s biology and ecology. “We stopped to feed the adult frog to have them hibernate last December. I see them changing their position slowly, but normally they don’t move at all”, said Makimura. Predetors have been having hard time. Frogs are good meal to water birds such as ibis and heron. Aquatic insects also eat frogs. Unfortunately aquatic insects have been disappearing. Especially the population of the Giant Water Bug (the Lethocerus Deyrollei) is decreasing rapidly in the country. The main reasons would be pesticide, and disappearing rice field. Now it is very rare to find the Giant Water Bugs in Tokyo and its vicinity. Tama Zoo rears and breeds the Predaceous Diving Beetle (the Dytiscidae), the Water Stick Insect (Ranatra) and the Giant Water Bug. 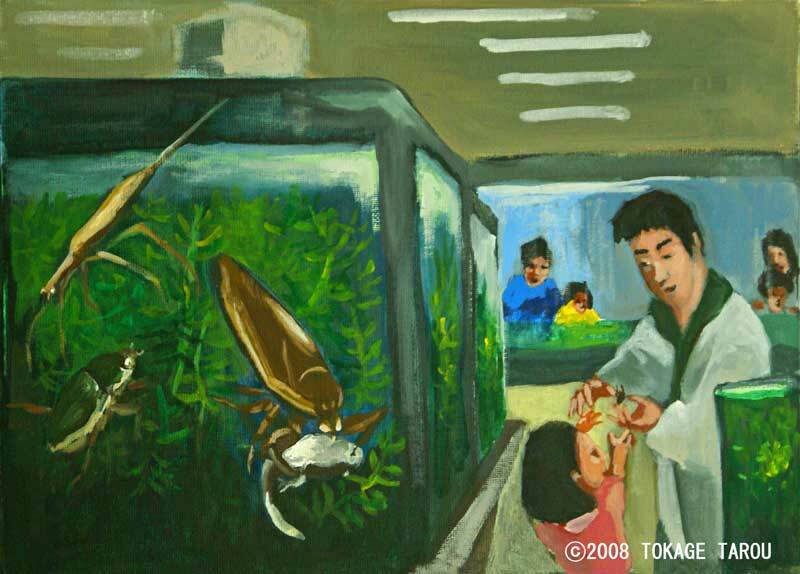 The zookeeper, Ryohei Watanabe showed me the Giant Water Bugs. The offspring and full-grown bugs are in the boxes, which are kept in the daytime condition to bread. Each are separated because they are cannibalistic. Watanabe said that the Giant Water Bug eats frogs, tadpoles, small shrimps, killifish, and so on. It is very interesting that he sees each of the Giant Water Bug has different personality when they eat. 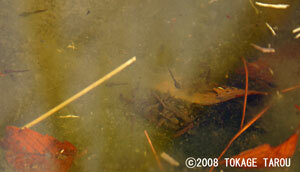 Even though the Giant Water Bug is an aquatic insect, it could be drowned by overweight after eating too much. The srimp is the favourite food of this Giant Water Bug? I asked Watanabe about the Giant Water Bug and frogs. He said that nobody knows how the natural environment may change because of dissapearing the Giant Water Bug. “The Giant Water Bug is at the top of the food chain at ecology around rice field. If frogs disappear, the Giant Water Bug will also disappear. The ecology is loosing its balance.” It is also said that the population of mosquitoes may grow after disappearing frogs, which eat mosquitoes and larvae. 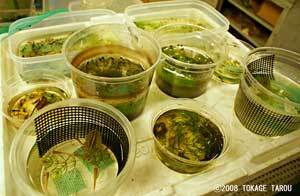 The Giant Water Bugs are separated from each other in the containers. Let's get to know about the nature around us. 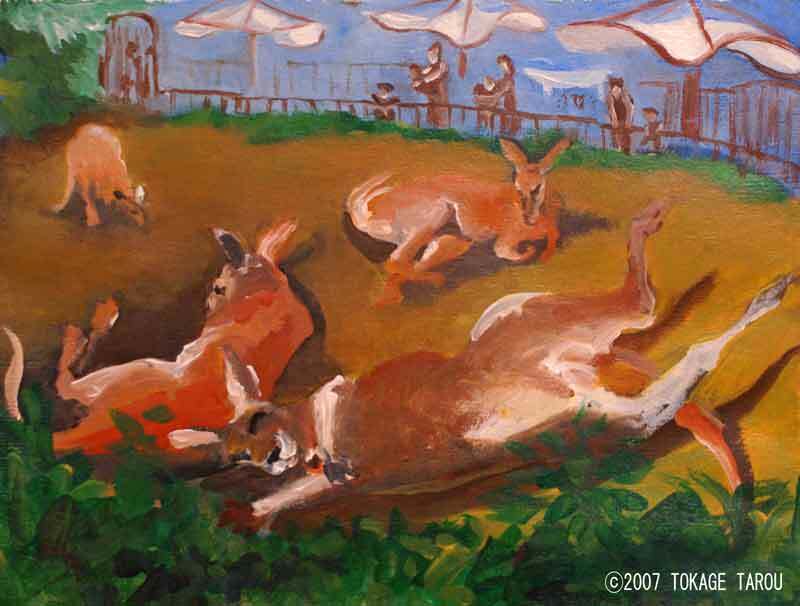 Tama Zoo celebrates its 50th anniversary in 2008. Since it opened, the zoo has committed breading the Crested Ibis. Not only about Year of the Frog, the year 2008 is a very busy year for celebrations and commemoration about animals at Tama Zoo. She has no idea about animals or humans. Beauty of the nature catches their eyes. Sometimes I notice that babies point to pigeons flying around monkeys' food. Are they fascinating you, baby? Are they more interesting than the monkeys? 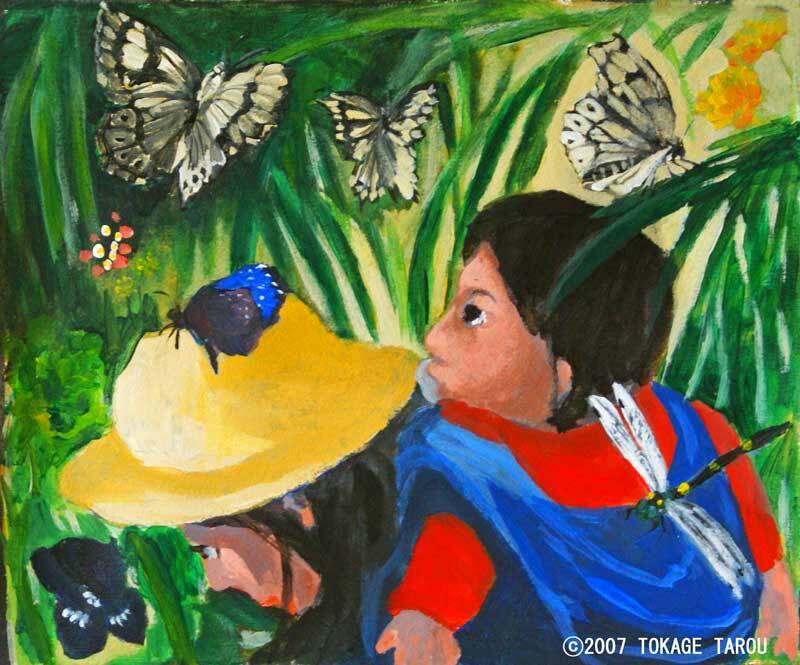 In the Insect Pavilion, the little baby girl was staring at butterflies. Don't you think they're beautiful? She seems enjoying to watch them. Isn’t it boring to see the sleepers? It might be comfortable for them, maybe…. The Koalas spend most of their day sleeping. Don’t you think it is amazing that the defenceless and peaceful looking creatures like the Koalas exist on the earth? Even though they are always sleeping, I love to watch them. The Zoo Keeper feeds these shy birds very gently. Even though their favourite fish is on the menu, they will keep their distance. "Maybe we will try later!" Hey look, one brave bird is coming closer for the first course. 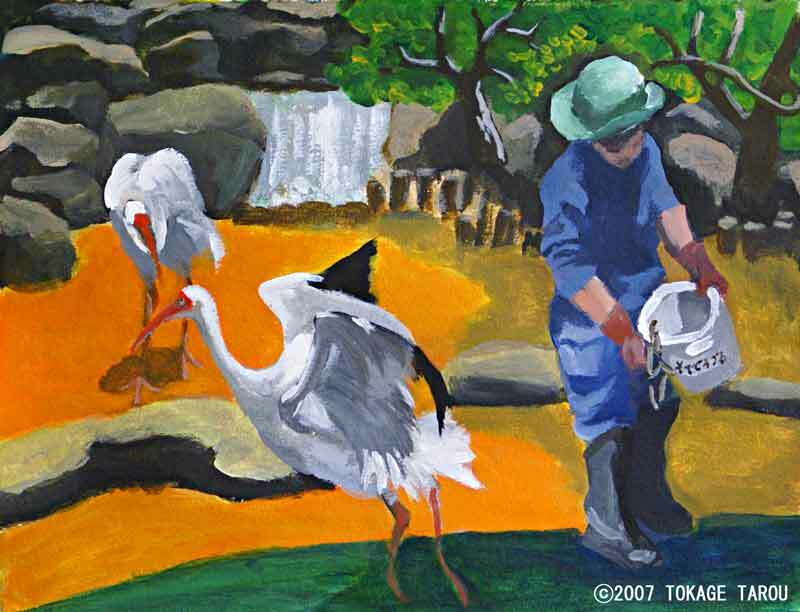 The Siberian Crane is an endangered species. We are happy to announce some young chicks were recently born. Mr.African Elephant, Sir.....you are so BIG! The Elephants seem to be very interested in the children. The kids are fascinated too and they love to see the sensitive trunk tip near them at the rail, moving actively back and forth. 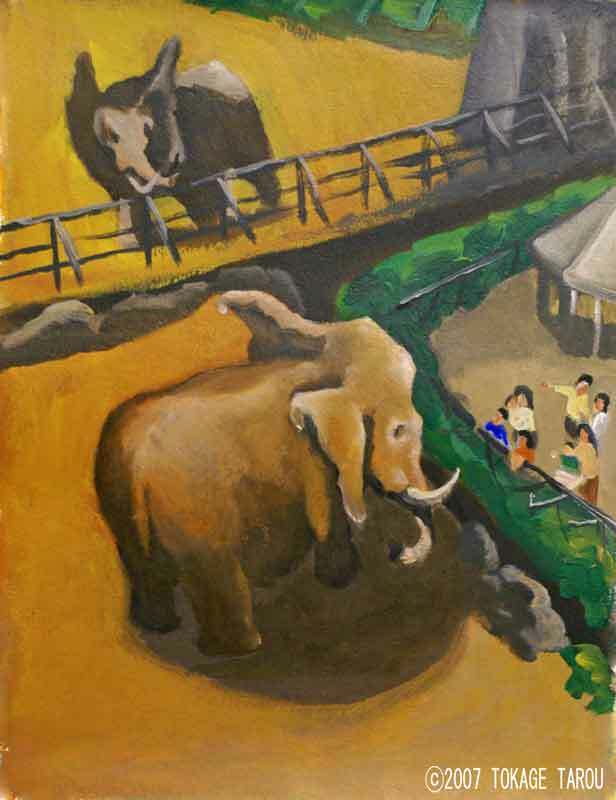 I am not good at painting elephants. Their big bodies and ears make hard for me to get the proportions right. Boo Hoo! Mom wants to protect her baby calf. Yukari came towards her mother. I have a chance to get a good photo! Oh no, she's hiding behind Mom. It's only a zoo, but Mom still works hard to baby sit Yukari-chan. Mr. Pelican loves to show off his wings, when the camera cames out. 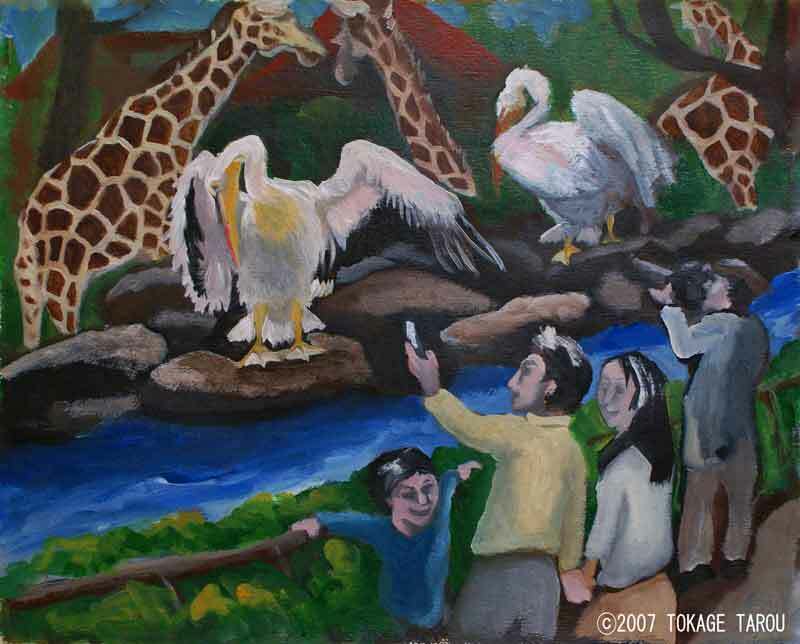 Yukari-chan, the giraffe, has Mr. Pelican and his friends the herons for neighbours. I wish we could see them just like this in their home in Africa. Mr. & Mrs. Pelican's neighbours on the other side are Mr. & Mrs. Ibex. Lions on every side of us! The Lion Bus Tour puts us on Lion Hill, in the middle of the pride. 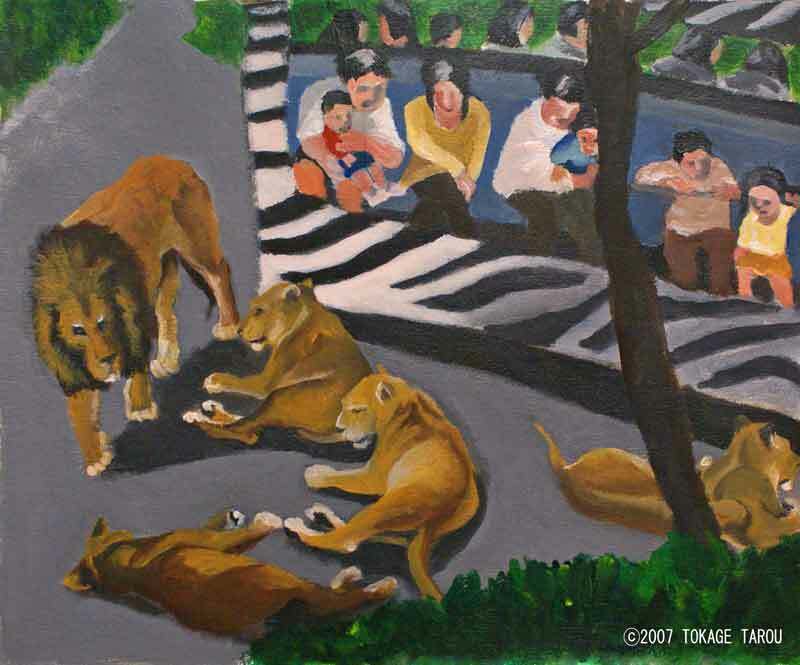 The older lions relax in dreamy afternoon sleep, disinterested in any bus visitors. The young cubs play with mother's tail in a nearby lion den. This painting is coming soon. His friend becomes a pillow for an afternoon nap. It's comfortable. On a sleepy warm afternoon day, I can only turn my head to say "HELLO!"